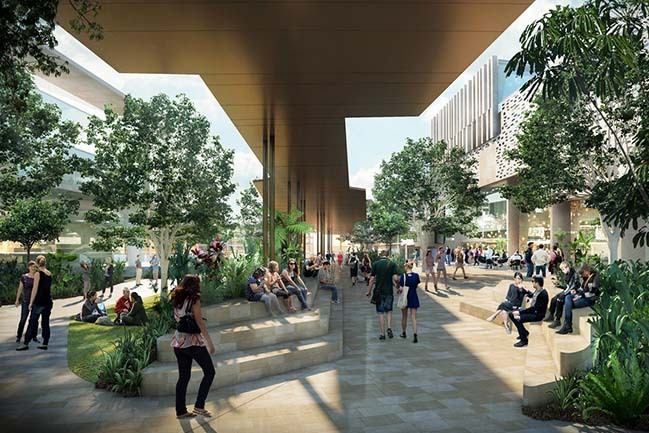 This work is a comprehensive new Master Plan for JCU Townsville Campus. It builds on planning work that stretches back 50 years to the Stephenson Plan of 1964 and the more recent work of Discovery Rise in developing an active community engaged campus. 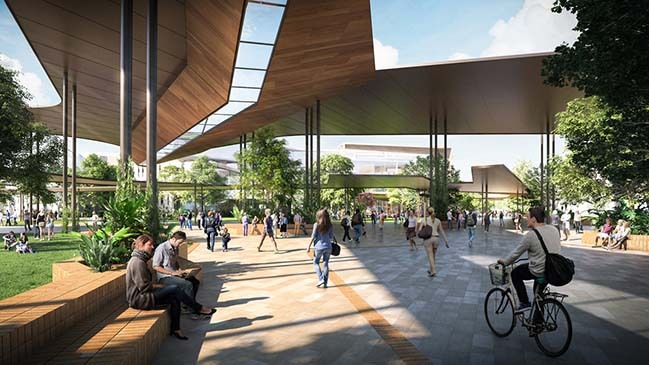 From the architect: The work supports further development of a student-centric campus into a lively and vibrant urban environment that embraces the opportunities and challenges of the 21st century, and sits appropriately in its natural environment. James Cook University is defined by its place in the tropics. It was established as Australia’s university for the tropics and is now recognised around the world as a leading teaching and research institution that addresses critical challenges facing this region worldwide. The Master Plan vision consolidates the University’s broader community integration and development objectives overcoming the dispersed and separated campus in order to create one cohesive, collaborative academic community. 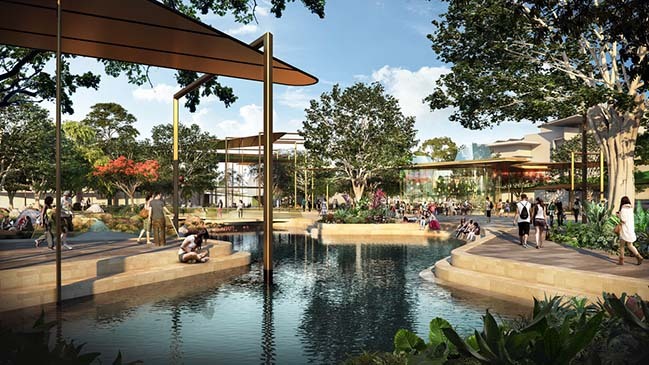 The campus is extremely large at 379 hectares, (compare with University of Queensland 114ha) it includes areas of significant bushland and elevated ridge lines overlooking the city as well as natural and naturalistic creeks on the lower plain. 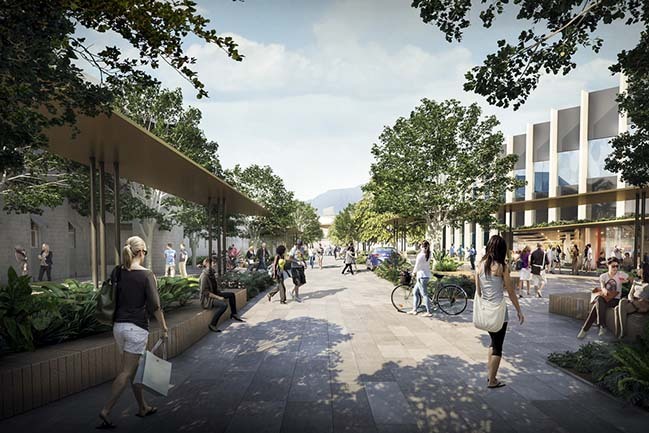 The Campus has historically been developed using decisions based on the generosity of land area rather than considerations of activation, community and legibility. Conversely the beauty of the high land has been neglected as resource for passive and active recreation. Aware that the Campus would evolve over time rather than materialize in response to a vision, the document provides guidance as to how each new development opportunity can build upon previous work rather than a series of isolated development moves. The strategies were careful to maintain the aspects of the campus that are universally loved including the abundant flora and fauna. The document incorporates considerations of Connections to Country and indigenous learning gardens and Arboretum. While water security remains a touchpoint in Townsville at this time, the idea of water as a recreational amenity was seen as critical to University life and as a climate response. 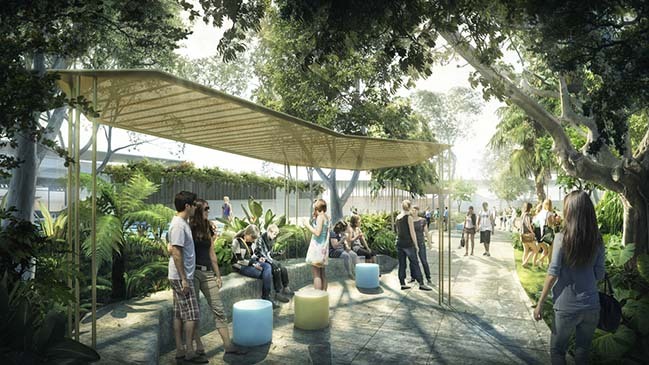 Proposals for large water catchments and smaller water focused gathering spaces reflects the University’s commitment of research in the fields of sustainability and ecology. The work was undertaken over an eighteen month period with a comprehensive series of surveys, workshops and stakeholder task groups including students, staff, academics and community stakeholders.